Finally we arrived at the probably most popular race, the Heavies. Needed virtually no redesign compared to the original artwork, just needed to draw in much higher detail. Game balancing wise, the Heavy race is pretty straighforward, they will be the simple tank & gank race, without any special abilities, and also, being the slowest of them all. The Heavy race is probably the most well established of my sci-fi factions, and closest to my natural art style. 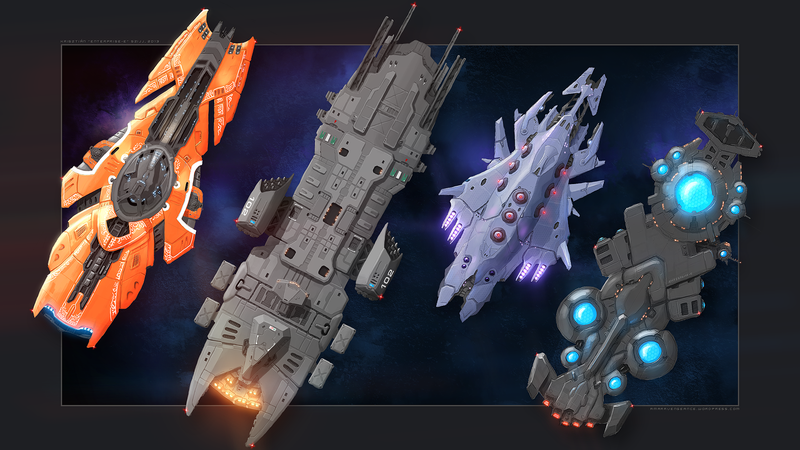 A very similar faction was already featured in an older, never publicly released game of mine, and also in my generic sci-fi universe project for which i made some 3D ships in the past. 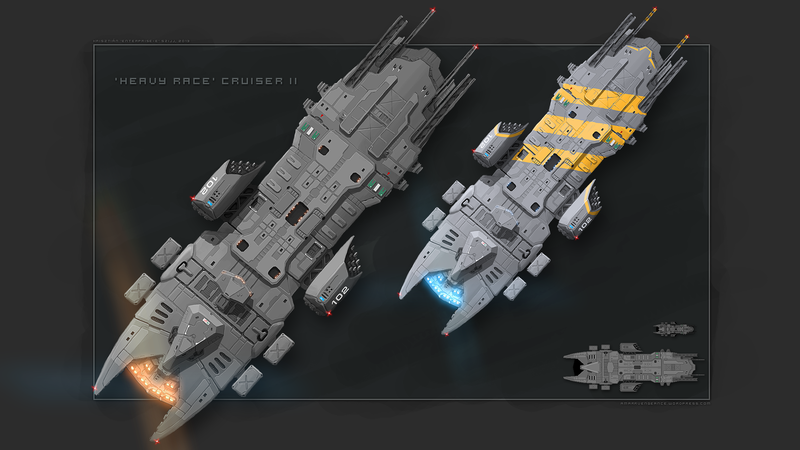 The first variation is how they appear in Star Temple TD (darker hull, orange engines and windows), the other one being how they appeared in the aforementioned older game of mine (lighter hull, blue engines and windows, ‘Homeworld’ paint).